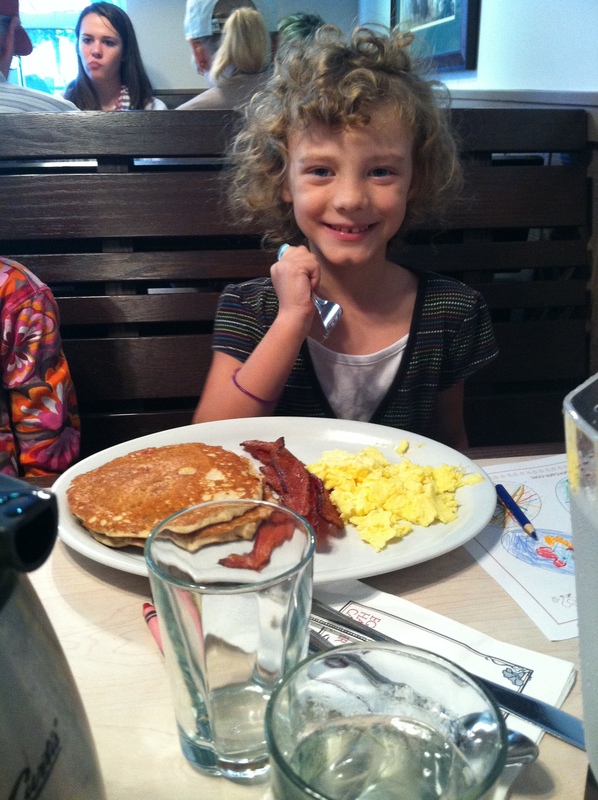 We have been trying to find new places to eat at for brunch. 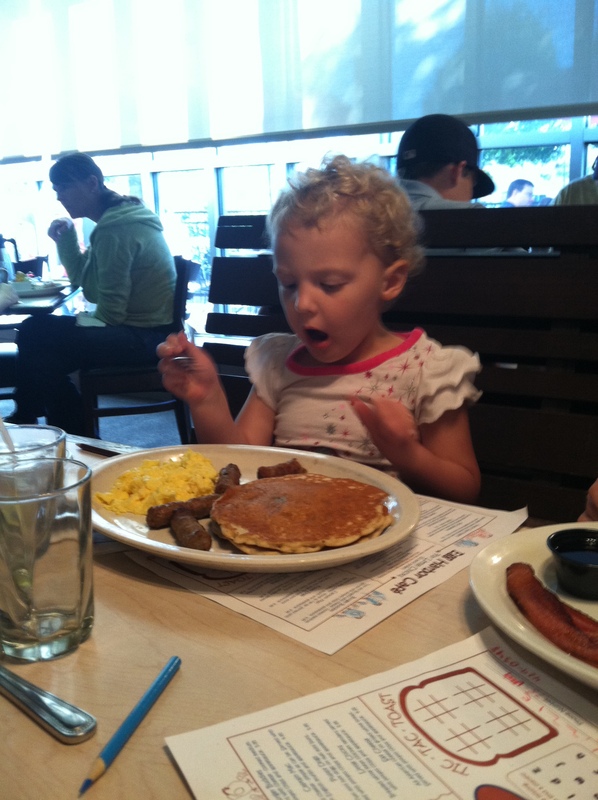 As much as we love Waffle House, we like trying new places and having variety on the weekends. This place was not too far from us, a little less than 20 minutes. 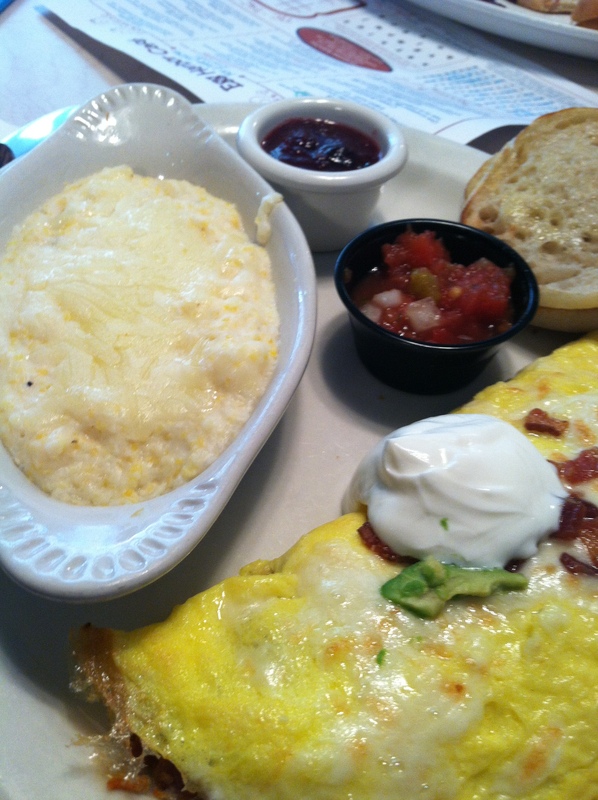 The Egg Harbor Cafe is a great place with lots of variety for breakfast and lunch. 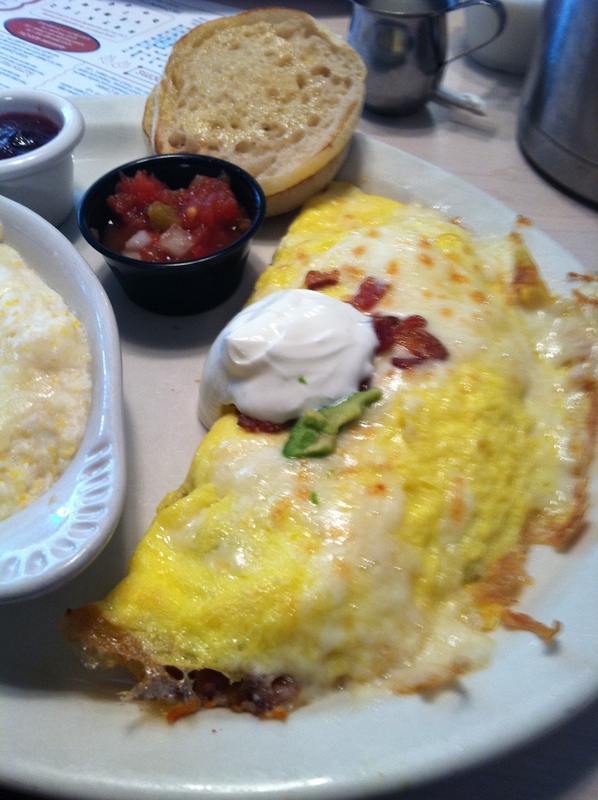 I got the Bacavado Omelet- Omelet made with bacon and avocado. My side was cheese grits plus an english muffin with delicious jam. 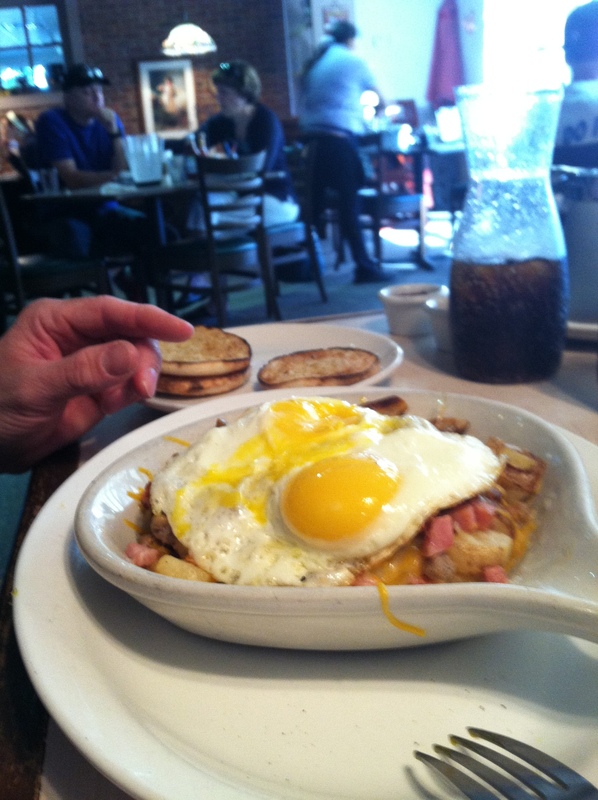 My hubby had the meaty skillet with potatoes. Awesome! 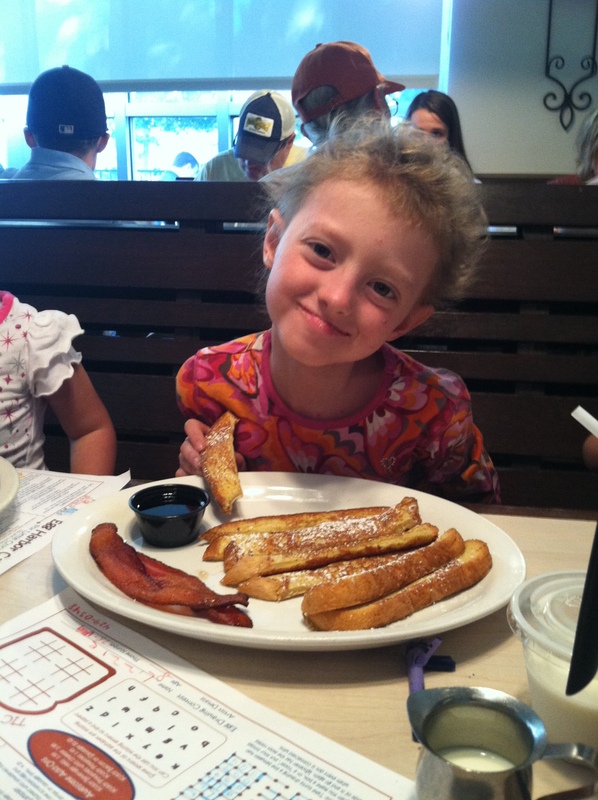 My girls had Rainbow Pancakes, and French Toast Sticks. They were in love with their plates!